Left to right: the powerful Catherine de Medici, Saint Agnes of Montepulciano, and an unknown woman, cooking. Who Matters in Medieval History? 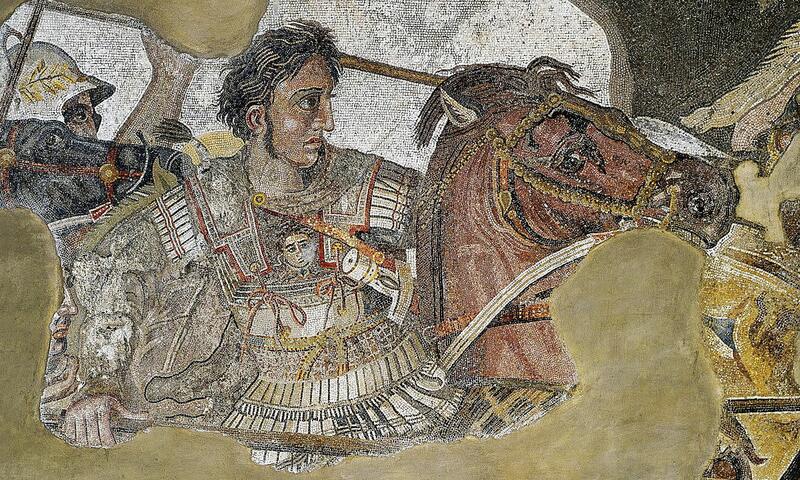 Some believe we should only study famous and powerful historical figures. 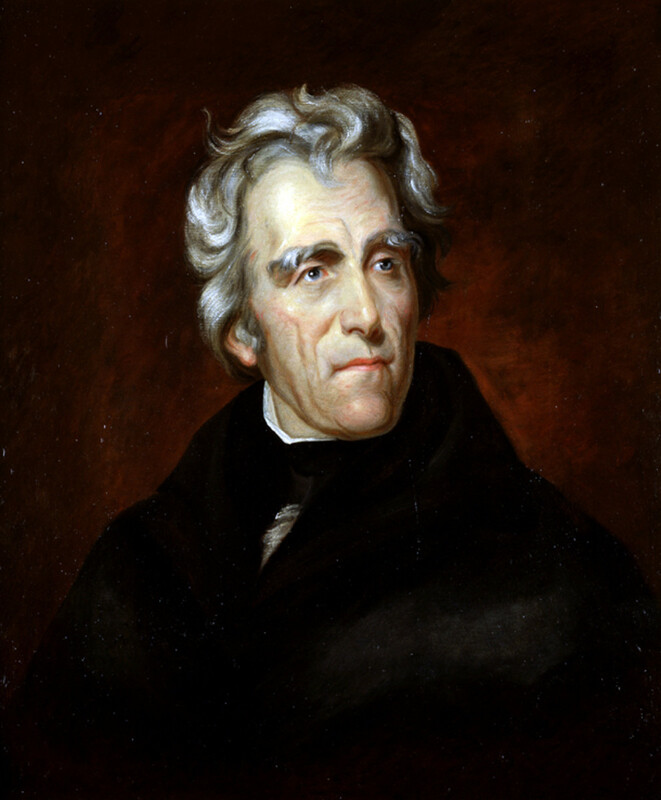 In pre-democratic times, especially, it was the leaders of a society who mostly determined where it was going and what important events occurred. For others, the lives of ordinary people are just as interesting and just as important. This article contains an overview of the lives of ordinary women in medieval Europe -- particularity England. Understanding the lives of medieval women is less easy than you might think. There is not a lot of evidence to base an understanding on. It is especially difficult to get a good picture of the lives of the 'common' people. Often, the only evidence of their existence is church records with birth, marriage, and death faithfully recorded. The evidence that goes beyond those simple facts has been interpreted by historians in significantly different ways. It has also been gleefully exploited by novelists and painters to provide entertaining but factually inaccurate narratives. Sometimes the facts have been bent to offer moral and political instruction. This has led to many different views of medieval women. Some writers emphasize the Romantic aspects of medieval life. Others have painted a grim picture of plagues, famines, witch hunts and servitude to lords and masters. More recently, many historians (especially American historians) have focused on the positive aspects of being a woman in the Middle Ages, emphasizing that some, at least, led independent and influential lives. It is interesting to explore each of these cultural strands and important to clear out some of the cultural clutter before trying to get a clear picture of medieval women. Merry, or not so merry England? Was Life better in the Medieval Period? This may seem a strange question but how people chose to see the past is important if you want to understand any historical subject. When the Industrial Revolution began to transform England in late 18th century, many writers and painters were appalled by the pollution created by industry, the unregulated growth of modern cities and the equally unregulated behavior of their new inhabitants. A whole range of Romantic movements grew up which painted the medieval period as a time of knightly chivalry, innocent maidens, simple faith, individual creativity (handicrafts as opposed to mass produced goods) and social harmony. This reinvention of the Middle Ages to suit the needs of the time even spawned a movement: Medievalism. Medieval motifs were widely adopted in architecture, paintings, and works of fiction. Being aware of how Medievalism has skewed our perception of the Middle Ages is important for anyone interested in the true history of the period. The Pre-Raphelite Brotherhood began with the intention of returning painting to the virtues of the Renaissance but many members of the movement were also dedicated medievalists. Their works still color our perceptions of the Middle Ages, today. 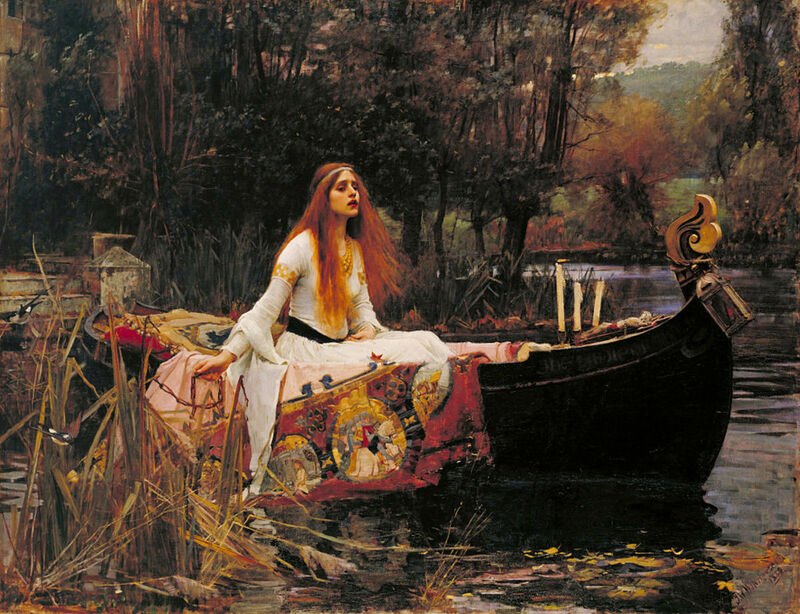 A typical, and extremely popular, Romantic conception of a medieval woman is The Lady of Shalott by John William Waterhouse. 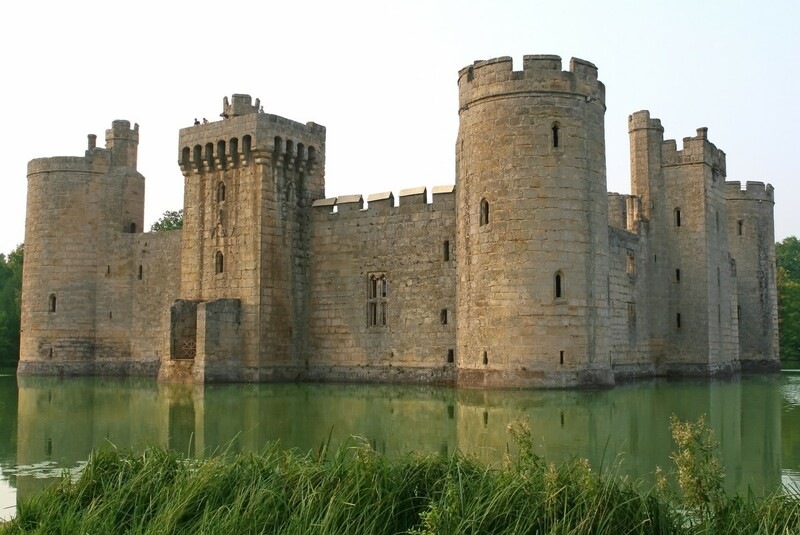 It is based on the well-known poem constructed by Alfred Lord Tennyson which includes supernatural curses, doomed maidens, heroic knights and an unattainable paradise (in this case Camelot). God Speed! (above) is a typical, idealized image of courtly love from the period. The mixture of piety and decorum can be seen as part of the backlash against the reeking factories and riotous gin shops of Victorian England. Victorians were fond of moral instruction. 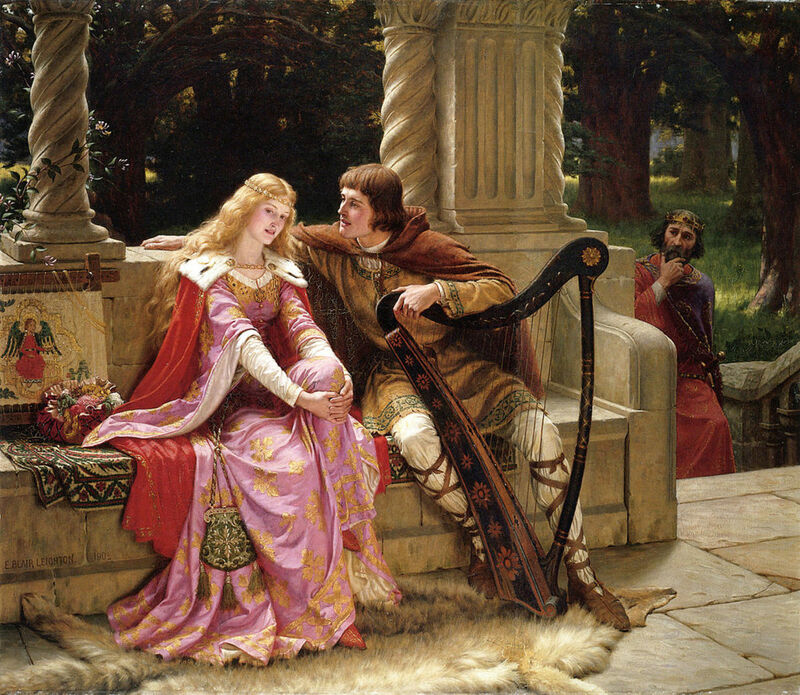 Tristan and Isolde is an old and tragic story of adulterous love that has both titillated and instructed many generations of educated Europeans. 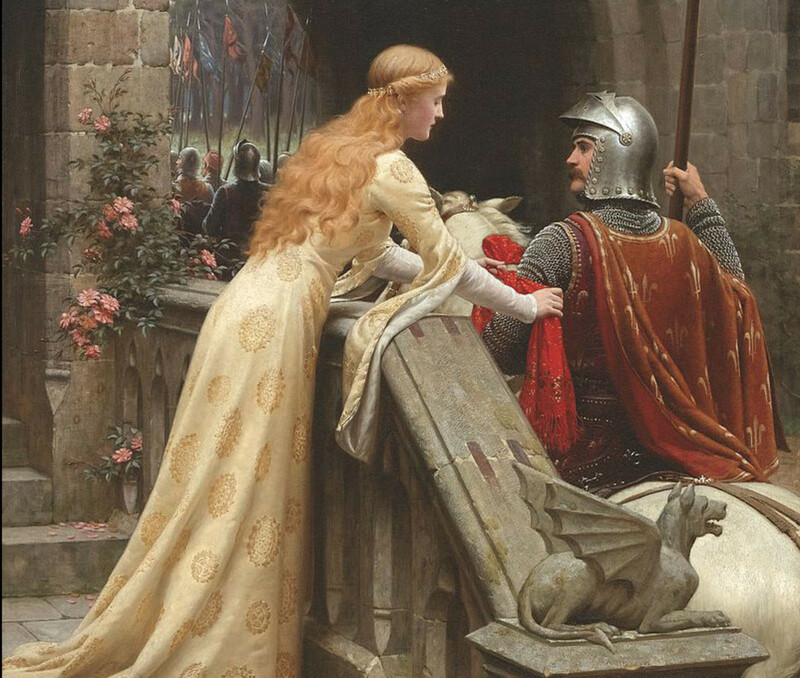 In the painting by Edmund Leighton (shown above), Isolde is not protected from 'disgrace' by the cross on her bag or the embroidery of an angel that she appears to be working on. Hollywood loves the myths and legends of the medieval period as much as it loves the myths and legends of the Wild West. Sword and source video games and many fantasy novels (like 'Lord of the Rings') all contain echoes of medievalism. While many artists and painters longed for a return to a time that seemed simpler, more orderly and purer, others saw the industrial revolution and its attendant social upheaval as offering many new possibilities. These artists and writers were more likely to see the Middle Ages as a time of ignorance and poverty with excessive control of the individual by church and state. John Stuart Mill was an especially influential 19th Century philosopher and thinker who championed the view that the new cities of Victorian England were centers of great enterprise and individual opportunity. His successors would write histories with more progressive views, and these color academic explorations of the period, today. 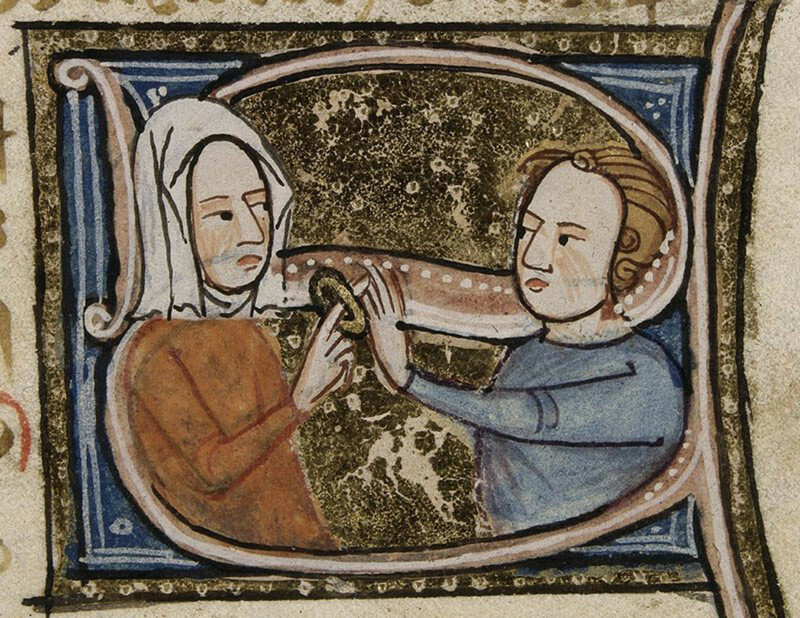 Man placing a ring on the finger of a medieval bride. Marriages were carefully considered transactions in the medieval period. Romantic love was less important than securing a sound economic base for a secure relationship where children could be raised. A bad marriage could mean the dilution of the power and wealth of a family- if a woman married below her status, the exchange of goods and land, common at the time, would be disadvantageous. In the worse case, it could mean a life of poverty for the newlyweds. Family, friends, and church would all take a role in deciding what marriage would bring most benefits to the families and the community. Among the very poor, property was less of an issue, and there was more freedom to choose based on personal preference -- although sometimes marriage and children might not have been affordable at all. 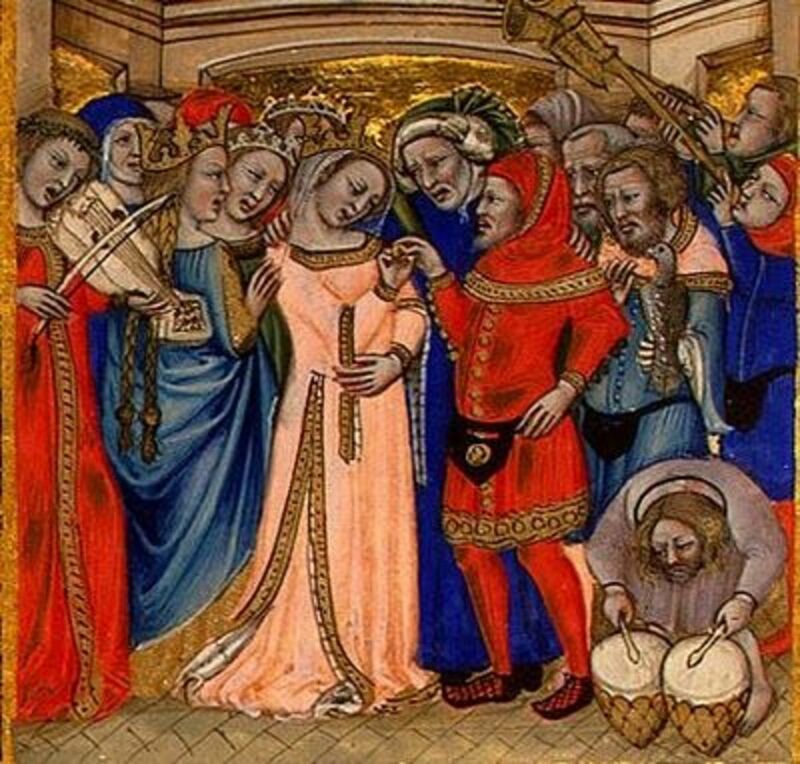 There is a myth that, in the medieval period, many girls were married before they even reached their teenage years. Amongst rich and powerful families, very young children could be promised in marriage as a way of cementing alliances. Sometimes, actual marriage ceremonies of children would take place, but the couple would not live together until they were considered adults. The Church also allowed the betrothed the right to renounce these child marriages when they came of age. Recent research suggests that the marriageable age for ordinary people was little different in the medieval period than it was a hundred years ago. In Italy, the average age for marriage was 17; in France 16 years old; and in England and Germany 18 years old. Illustration of the tragic end of Pyramus and Thisbe. Marriages may have been arranged, but people still fell in love. Some of the most popular stories of the time concern young lovers who were kept apart by their families. There is every reason to believe that the emotions of people in the Middle Age's were little different to our own. Did Medieval Mothers Care About Their Children? In 1963, Philippe Aries wrote a famous historical work called 'Centuries of Childhood.' It broke new ground by inquiring into ordinary lives in a new way. Since the lives of ordinary people were not well documented, Aries was obliged to make inferences from the few sources of information that were available, like church records. 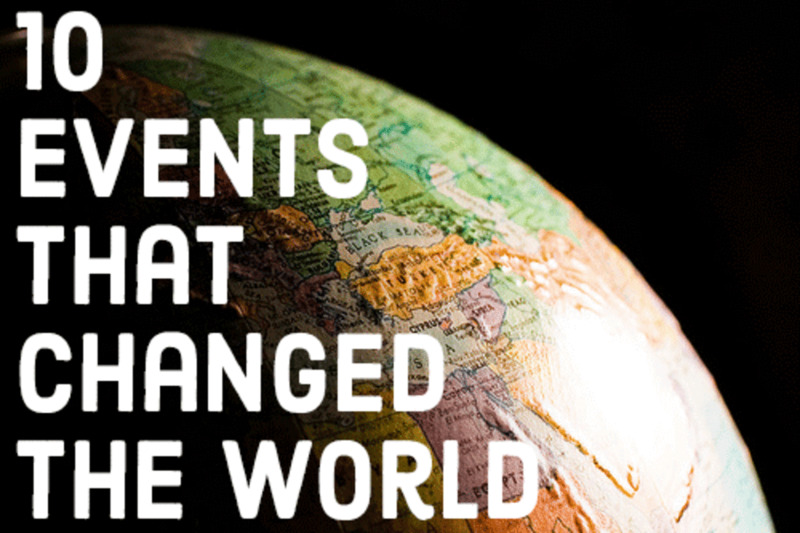 'Inferential history' has been controversial ever since but offers plenty of food for thought. Aries concluded from his study that from the age of 7, people were no longer children in medieval Europe. They were grown ups who were expected to work in the fields or other business of their family. This has prompted some people to believe that medieval parents did not care deeply about their children. More recently, new views have emerged as a result of the study of physical remains including skeletons, toys, and pictorial records, as well as archival material. The video below reviews the evidence that childhood involved as much play as hard labor and that parents cared about their children as much as we do today. Although poets might write thousands of lines comparing the woman of their dreams to an angel, sometimes a quite different perception of women could grip a nation. 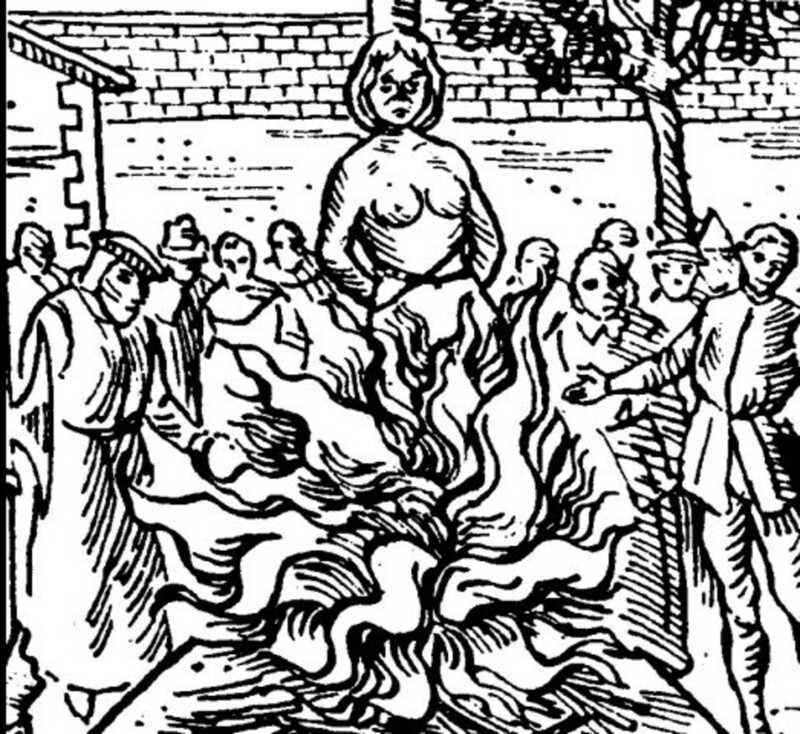 The late medieval/early modern period saw the beginnings of a taste for witch hunts in Europe which only subsided in the late 18th Century. Estimates of the number of women tortured and killed range from sixty thousand to nine million. Scholars are still arguing about what caused the outbreak of this form of terror, but it was widely associated with social upheaval. In England, witch hunts were at their peak during the English Civil War and almost ceased when central authority was restored. Did marriage hem women in? How Free were Medieval Women? The dominant force regulating marriage and personal behavior in the Middle Ages was the Catholic Church -- an institution that has always been dominated by men. Then, as now, it took a strong interest in anything that related to the production of children. It was also very concerned with keeping strong passions from tearing communities apart. Both families and communities needed to be united to prosper, given the many perils of the period. Mostly, the Church (and respectable society in general), tried to instill respect for the sanctity of marriage but the Church also set the stage for the careful control of women. A woman was often under the formal and legal direction of men for their entire lives -- first by fathers and after a woman had been 'given away' at the altar, and had made her vows of obedience, by the husband. Women who were mistreated could not testify against their husbands in court, on any issue, in the UK until the Criminal Evidence Act of 1898. Of course, the realities of family life could easily mean that a woman with a strong personality and superior intelligence could rule the roost. Many women were the power behind the throne in noble families too. There is plenty of evidence that many marriages were genuine partnerships with respect on both sides. Some of the evidence of fruitful partnerships is presented in Terry Jones' documentary, above. 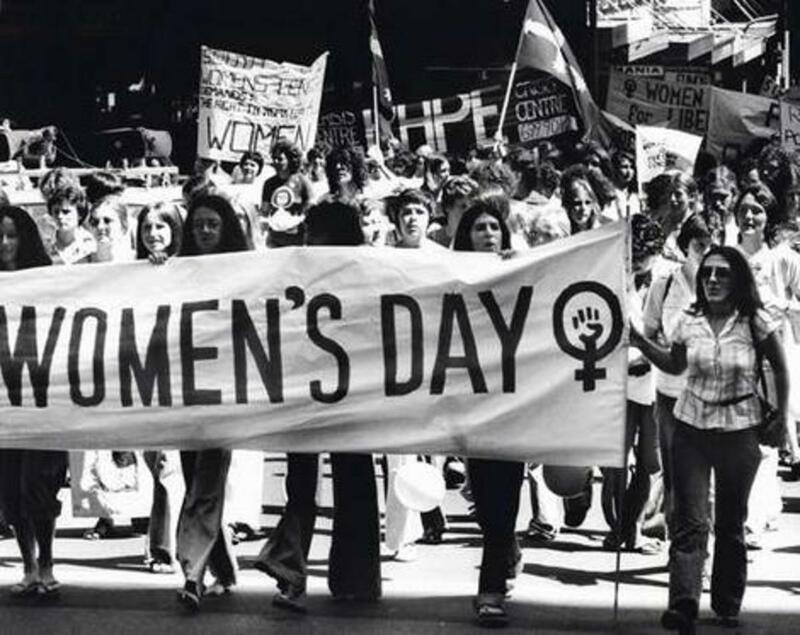 Also, some women bent the gender rules profoundly, just as they do today. 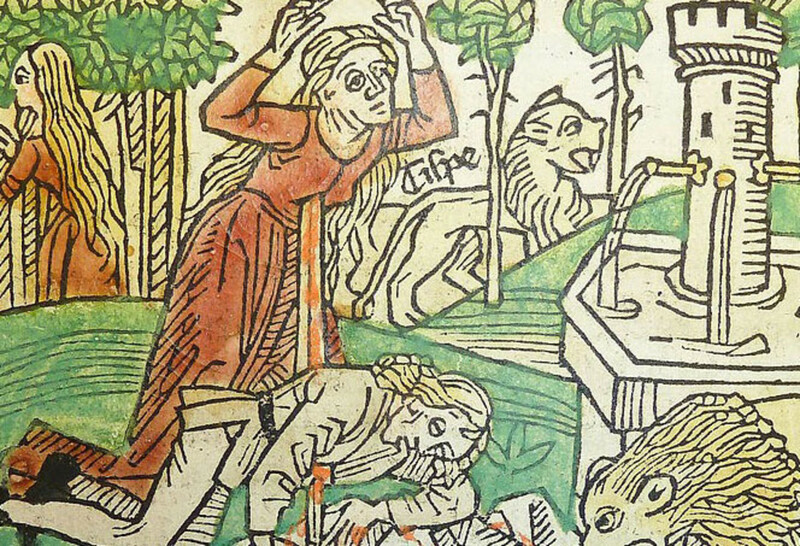 Woman as illustrators in the Medieval period. The majority of women worked in the fields or as spinners of wool. Some were seamstresses. Brew wife (beer brewer) was an important occupation where women could run their own enterprise. On the downside, women were excluded from many professions. They could not practice medicine, though they could be midwives. They could not be apothecaries, but they could be herbalists (in some periods this practice could result in accusations of witchcraft). They could not hold a political office like mayor, or become a magistrate. Many of these restrictions have only been lifted during the last one hundred years in Western countries. 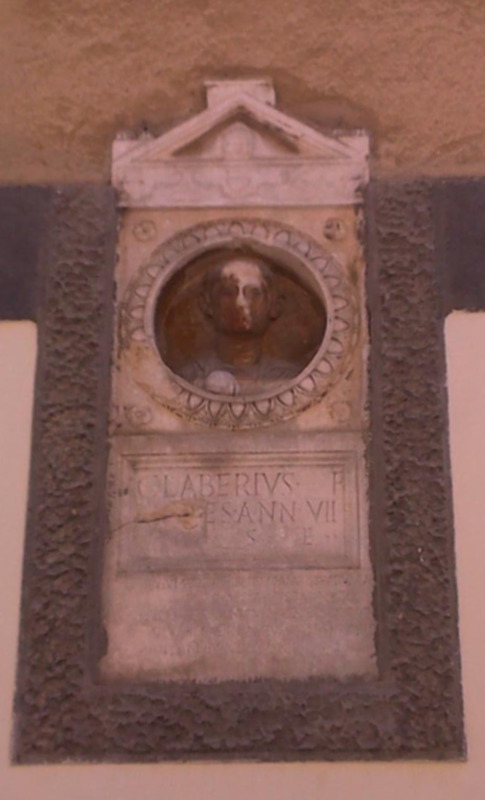 Herrad of Landsberg, was one woman who was certainly able to use her talents. 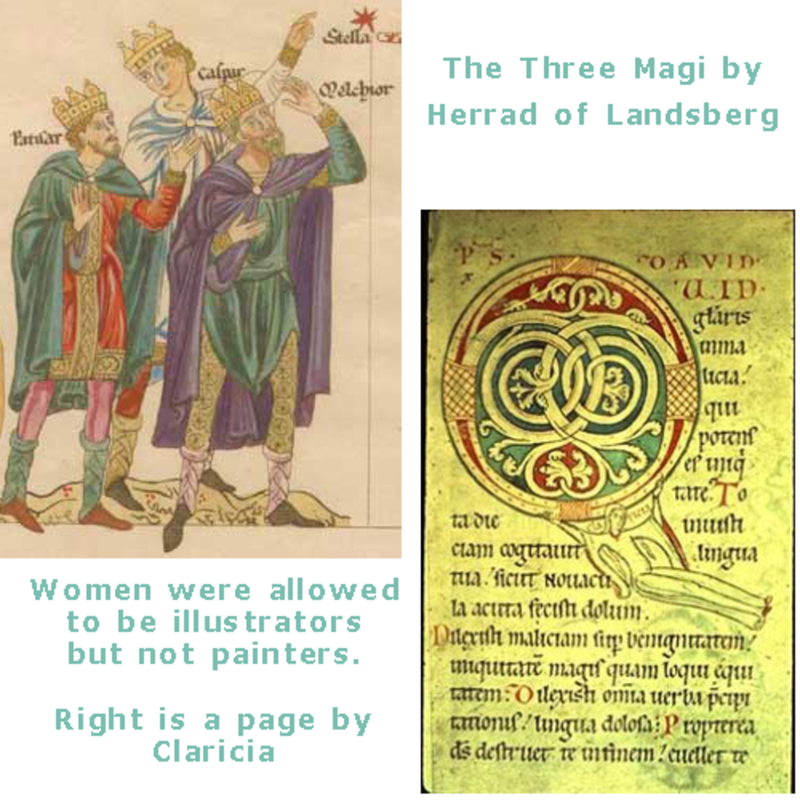 Although women could not train as painters, nuns like Herrad could be illustrators of manuscripts. Women often came into their own when the powerful men in their lives had died. There are many documented accounts of women who took powerful positions by inheriting property or businesses from fathers or husbands. 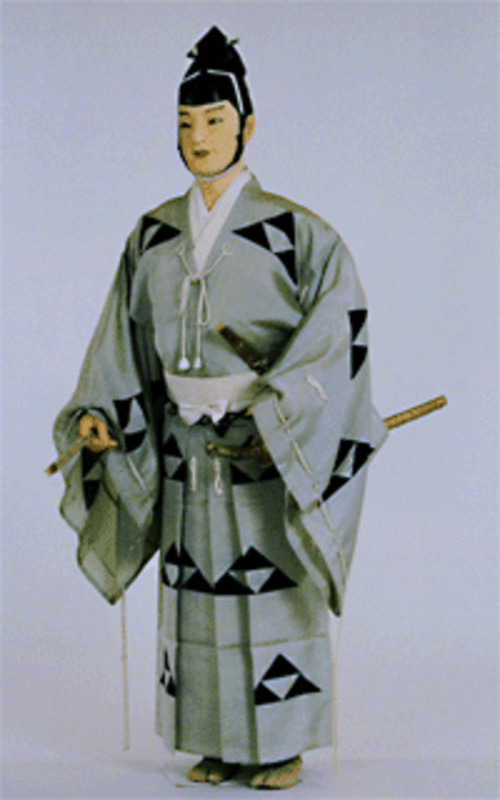 This tells us that women could be accepted in such roles and that they had the protection of the law and custom. Women could also take on the most powerful role in a kingdom -- that of Queen. Some women ruled as queens in their own right. Some ruled through a male relative who was not yet of age. Elenor of Aquitaine inherited the Duchy of Aquitaine in 1137, became queen of France in 1137 and then queen of England in 1154, the latter two roles as a result of marriage. 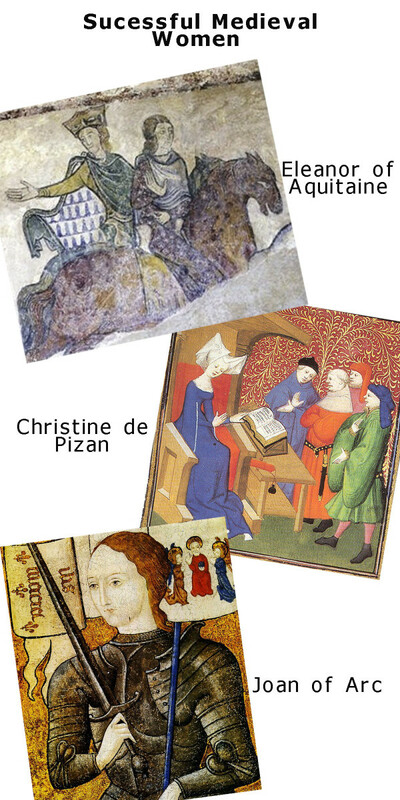 Christine de Pisan, a Parisian woman, became a court writer and poet after her husband died young. The money allowed her to support her family and gave her great status. Joan of Arc is an astonishing example of a woman who rose from absolute obscurity to a position of prominence, helping to lead armies, unify France and expel the English occupiers of her country. "Medieval Women" by Eileen Power, Cambridge University Press 1995. "The Ties That Bound" by Barbara Hanawalt, Oxford University Press 1986. "Medieval Households" by David Herlihy, Harvard University Press, 1985.
Who says women couldn't train as painters? There were lots of women artists in 16th century italy for instance. And there are medieval illustations that show women working as artists. Thanks, Abby. I reckon history is who we are. it's wonderful and very interesting. Very interesting Hub and great accompanying pictures. I spend almost all my time in twentieth century European history, so it is really good to be reminded about the Medieval period and especially about the place of women in that time. Thanks. Ahhhh...I love any reading about medieval women. This is great research material. I'm toying with writing a historical novel & this has excellent material. Very helpful. Thanks for sharing. Exellent!!! I am a Medieval scholar and this is by far the most epic, riveting medieval refrence! It takes you back in time!!! Thanks tonymac! It is a fascinating subject because so much is open to interpretation. In fact. why people interpret history in one way and others in a different way is an interesting subject in itself. I've been reading some of your Pretoria pages lately- very interesting. I reckon you will be bringing in a few tourists too and boosting the SA economy! This is a great piece of work! I really enjoyed the read and the information is very interesting. I am currently reading about Florence and the Medicis and this gives some added background. Thank you.